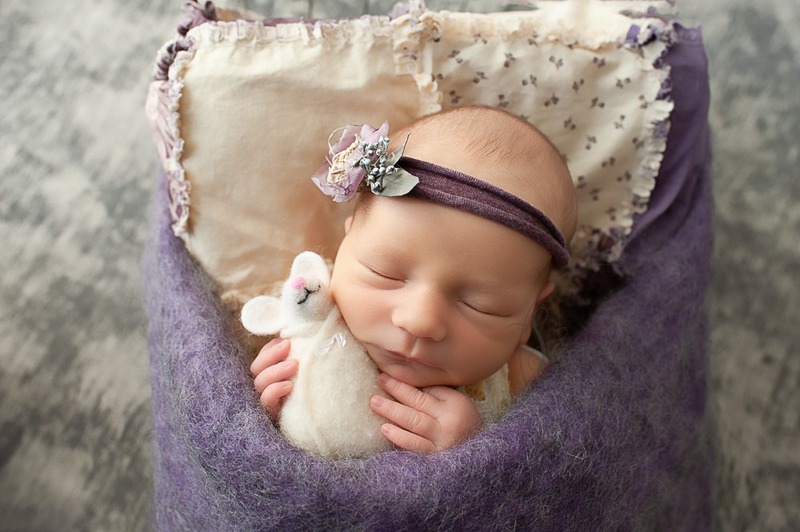 As a newborn photographer Horsham, I am incredibly lucky to photograph such a precious thing. 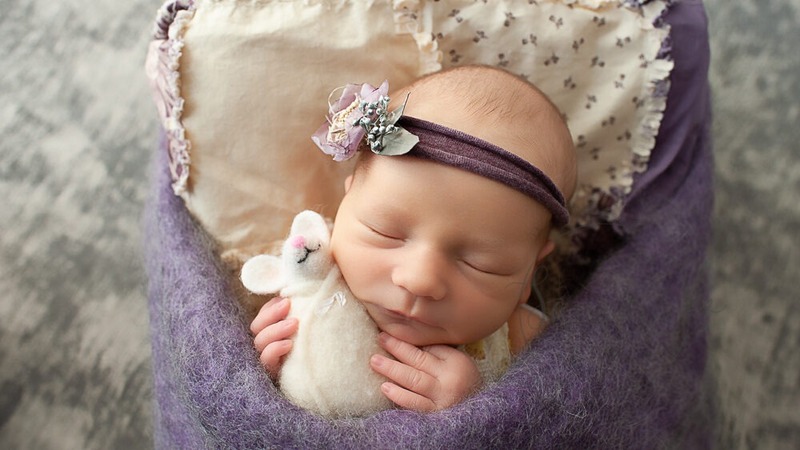 Emmy was no exception when she came into the studio at just 7 days old. My daughter Jasmine had come into the studio the night before the session and helped me select the colours – the purple and yellow theme we went with looked amazing. I always ask parents in their booking email if they have a preference for what colours to use, most leave it up to me, but if you have specific décor you would like your image to fit in with or colours you simple can’t stand then just let me know and I can tailor the session around your requirement. Emmy was a little angel and such a curled up little sleeper I put into use my perfect pose prop which allows me to take and use images within digital backdrops to give galleries even more variety. Again, if this is something you like, please let me know at the start of the session so that I can try and ensure we capture some for you, although this is not always guaranteed and as with all sessions it depends on your little one, as my newborn session are all baby led. If you would like some more information with regards to newborn studio portraits then check out my newborn photography page which gives you a great insight into how the sessions run. All my newborn clients are invited back to the Samphire studio for a complimentary sitter session. That way I get to see how ‘my’ babies have grown plus also this is probably one of my most favourite ages to photograph babies at. At this stage babies may be sitting up or lifting themselves up onto all fours, bringing opportunities to pose them sitting in our vintage baskets or tin bath tub. These sessions are fun, and focus on capturing the personality of your little one!